The European Union and New Zealand said on Tuesday (10 January) they aim to launch free trade negotiations as soon as possible and to conclude the talks far more quickly than is normal – possibly in two to three years. The EU’s capacity to seal trade pacts has come into question because of the EU-Canada deal called CETA. Negotiators spent more than five years to conclude talks and CETA is still awaiting approval over two years later. New Zealand Prime Minister Bill English told reporters after meetings with top EU officials that the parties had agreed to launch free trade negotiations as soon as possible in 2017 and to conclude them “fairly promptly”. 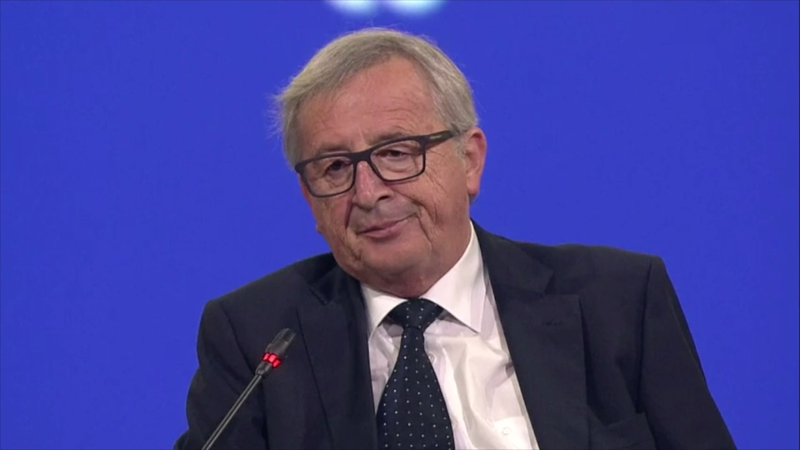 European Commission President Jean-Claude Juncker believed talks could be wrapped up much quicker than normal. “Normally it takes between five, six, ten years. I think two or three years would be enough because we have very similar situations. We are friends, we are allies,” he said. The European Union is New Zealand’s third-largest trading partner and trade between the two was some €8.1 billion ($8.6 billion) in 2015, with transport equipment and machinery dominating EU exports and live animals the main export from New Zealand, according to Commission data. For the EU, New Zealand ranks 49th in its list of trading partners. English would not be drawn on whether New Zealand expected to get a better trade deal with Britain, with which it has long-running ties, after Britain’s departure from the European Union. “They will have those negotiations with the EU and when they are ready we’ll negotiate with the UK,” he said. New Zealand and the European Union launched free trade talks in October 2015. The move was announced during a visit to Brussels by New Zealand Prime Minister John Key, where he met European Commission President Jean-Claude Juncker and European Council President Donald Tusk. “Today we committed to start the process for negotiations to achieve swiftly a deep and comprehensive high-quality Free Trade Agreement,” the three leaders said in a joint statement. “Discussions to define the scope and overall approach to the negotiations should start as soon as possible,” they said. Total trade in goods between the EU and New Zealand was €7.9 billion ($8.67 billion) in 2014, according to the European Commission. The EU is New Zealand’s third largest trading partner after Australia and China. In 2014, New Zealand placed 51 on the list of the EU’s most important trading partners. The EU stood as New Zealand’s third largest trading partner, after Australia and China, as New Zealand focuses increasingly on Asia.